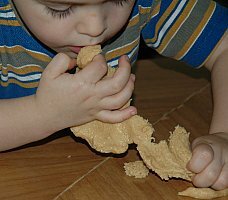 Play dough recipes for your kids. 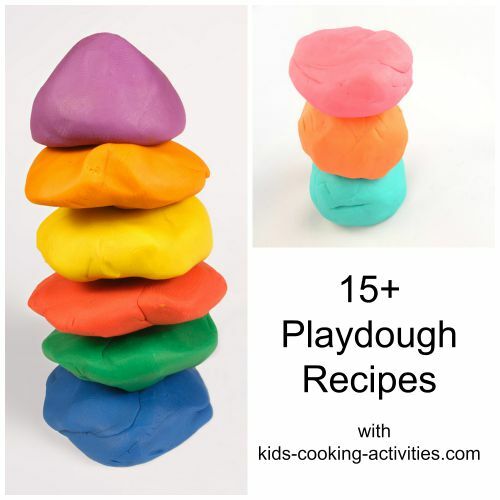 Play dough recipes and clay dough recipes are great fun for kids and allow their creativity to shine. Allow your child to add the ingredients together when making the dough. Cooking and making the dough from scratch can be as much fun as playing with it. Any basic dough recipe has flour, salt, oil, and water. Then you can add an essential oil for a calming scent and food coloring if desired. Mix all ingredients in saucepan. Cook over low heat until it just begins to look dry (not completely). Take out of pan and place on bread board or counter top. When cool enough to touch, knead until smooth and pliable. Moisten with water or starch until modeling consistency is reached. 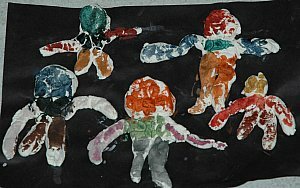 When formed into desired objects you can allow to dry until hard and then paint, if desired. Add enough water to moisten. Has a very different feel and look. Not good for finished products. Mix the flour and salt in a large bowl. In separate bowl, mix all liquids together, and then slowly add to the dry ingredients. Knead to mix, adding more water by teaspoons if necessary for proper consistency. Store in air tight container in the refrigerator. In a saucepan stir flour, oil, Kool-aid, salt and cream of tartar. Add water. Stir over medium 3-5 minutes. Continue to stir until ball forms then take off heat. Allow to cool and knead several times. Store in tupperware or ziploc bag. Mix the flour with the desired color and amount of powdered tempera. Add the vegetable oil and water and knead well. If necessary, add more water in small amounts until the dough is soft and elastic. Store dough in a refrigerator in a covered container. Put soap flakes in a large bowl. Add water and squish and squeeze until mixture is all damp and squishy. When mixture sticks together, it's ready to sculpt. Figures become firm in refrigerator. Then allow to dry completely before handling. Can be painted when dry. Mix three ingredients to form into a workable dough. Enjoy playing. You can decorate with raisins and then eat if desired. Mix all together in mixing bowl until well blended. Mix ingredients together and kids can mold and create with the dough. Mix ingredients together in bowl. Kids can mold, create and eat when finished. Mix dry ingredients in a bowl. Put water into a cup and add food coloring. Slowly add water into the mixture of dry ingredients until desired consistency and color is desired. Store in an airtight bag and store in the refrigerator. 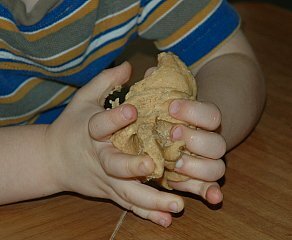 Do you have a how to make playdough recipe? 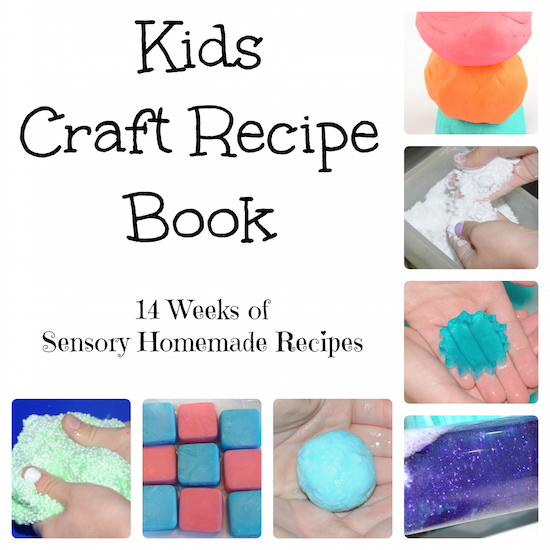 Back to Craft recipes from Play dough recipes.